How do I activate my license key for Zemana AntiMalware? 2. After you install the product on your PC, the product icon will appear on your desktop. Double-click to open the product’s user interface. 3. To enter your license key correctly, click on the key icon in the upper right corner. 4. Or, you can also click on the text that says: 0 days remaining. Choose the option that is easier for you. 5. Type in or paste your license key into the license field like shown in the picture. Don’t forget the dashes! 6. Click the Activate Now button. 7. You should be able to see a notification that says You have successfully activated Zemana AntiMalware! 8. Click OK and enjoy the product and its premium features! Can I use AntiMalware on my mac OS? How can I solve an disabling real-time protection or update issue? How does Zemana AntiMalware work on 64 bit system? 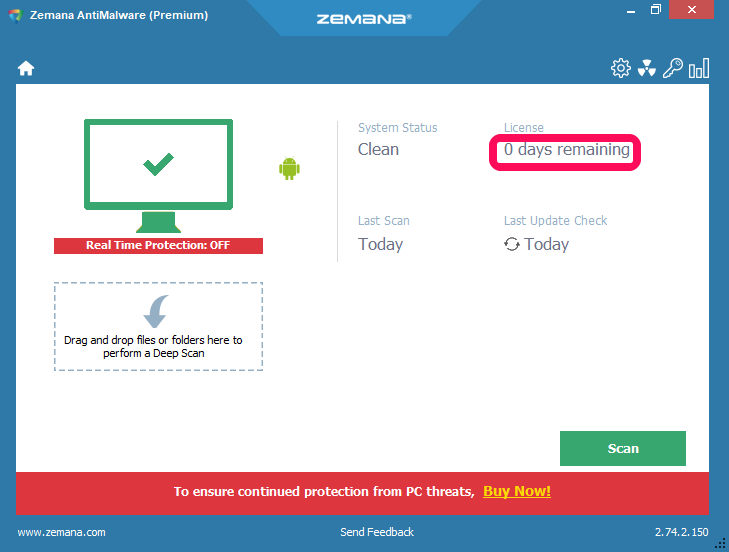 How do I install Zemana AntiMalware on my PC? Is silent installation possible with Zemana AntiMalware? 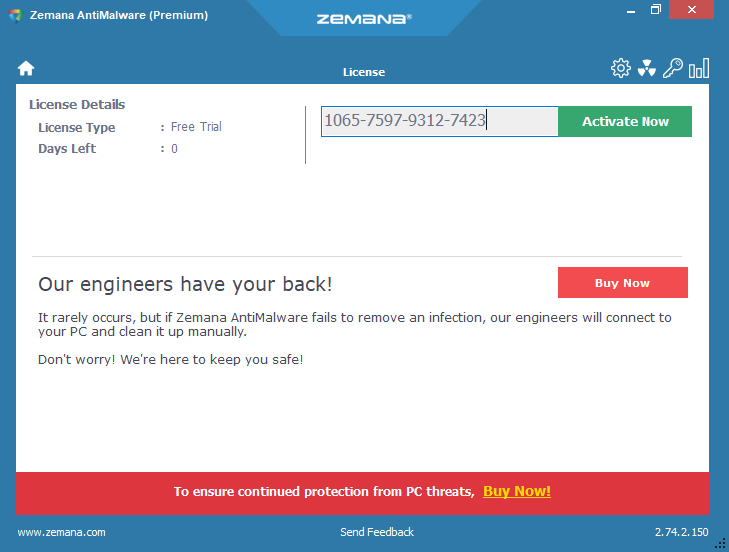 What engines does Zemana AntiMalware use? Why clicking the "X" closes Zemana AntiMalware 3.0 on my PC?